"Click on Bulldog for e-mail"
"Just Some of the Puppy's Produced"
Our breedings are all carefully planned. 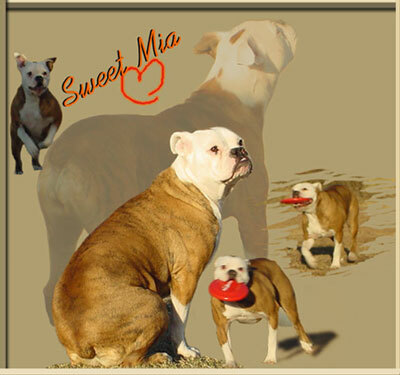 We only have 1 or 2 breedings a year, so keep checking in with us for updates! 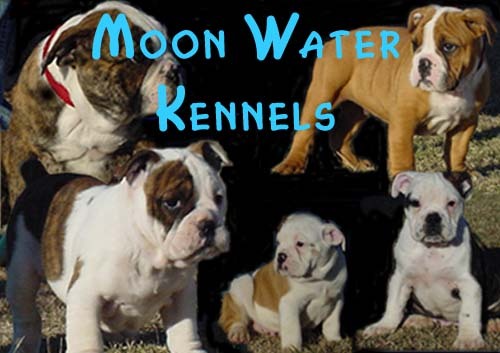 We plan on another litter somtime Spring of 2007- so ask about geting on our waiting list. Our OEB'S are registered with the IOEBA. We believe that this is the most professional and dedicated registry out there today! All our dogs and pups are proudly registered with IOEBA! We are located in Waco, Texas. Our dogs are well acclimated to diverse changes in temperature. This by no means is ment to mislead you into thinking that our dogs do not need to be shelterd from harsh weather. This is only to inform you that with proper care and shelter the OEB breed can cope with any climate. This is Mia, our spoil house baby. She is our pet and has been fixed. what beautiful babies we still have available!"